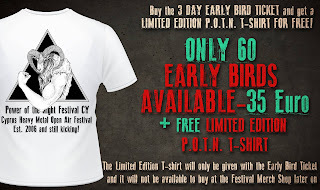 Now you have the chance to buy a 3-day ticket for Power of the Night XI festival 2016, at the price of 35 EUR only, including a limited edition t-shirt. 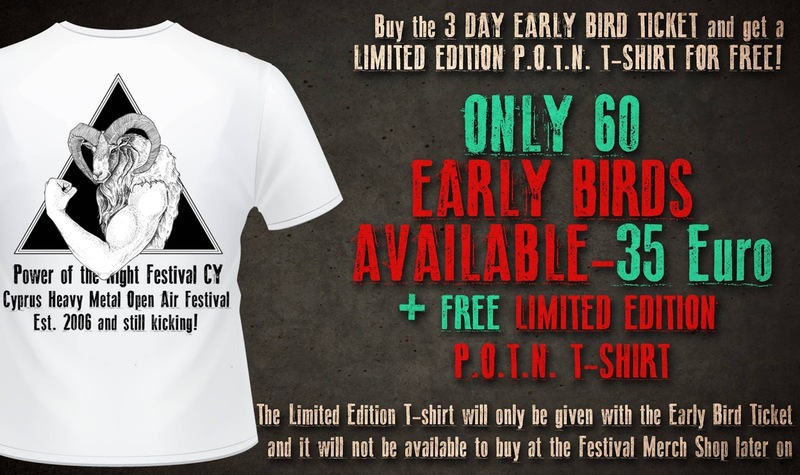 That t-shirt won't be available for purchase at festival's merchandise, only through these early bird tickets. Mind that, there will be only 60 early bird tickets available. So, whoever first, gets first!